The chart below indicates hydrocarbon locations of oil fields or gas fields or oil & gas fields which are located remotely by Peter and are available but as far as he is aware they have not yet been found by anyone else, so this would be a great opportunity for you to be one step ahead of your competitors. If you wish to know more about these locations please contact Peter by email or phone to discuss your requirements. Please when you contact Peter please let him have your telephone number and any other information that would be helpful to speed things up. If I do not find any oil and gas in the area that you have requestsed me to search, as recompence for not finding anything for you I may be able to offer you up to three locations and out of these three locations you can choose one potential new location of your choosing. Once you have chosen your location I will then let you have the full information of that location you have chosen for free. These locations may not necessarily be in close proximity to the area I have searched for you. Click here to see a summary of findings on one of the projects in Namibia confirming potential oil., bringing us a step nearer to drilling and developing the sites. Peter has successfully worked with various oil companies over the years, helping them to find oil and gas fields. Here are some references for previous hydrocarbon work. Chevron 1993...'the seismic line which you indicated crossed through the oil/gas reservoir does infact do so. The Alba oilfield which comes on stream this month, was in higher of the two horizons....you highlighted contains the Britannia gas condensate field. This is a mixture of oil and gas. 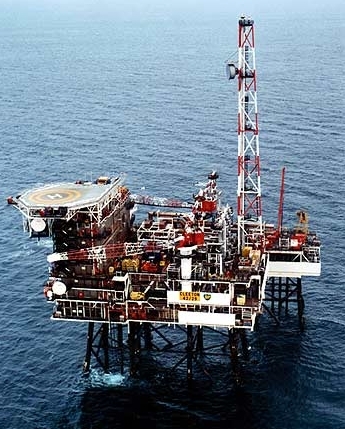 Click here for the latest information on the Alba oil field and the Britannia oil and gas field. Because of the commercial sensitivity of this work it is not possible to show all the references here - please contact Peter if you would like further information. Oil and gas prospectors who need help in finding oil and gas fields may be interested to know that Peter is experienced in working alongside geologists to find oil and gas fields. The world is running out of oil & gas at traditional levels in the earth so now the oil men are searching deeper into the earth but their technology, although it is good, for normal depths of oil & gas the oil shales which contains mostly gas shales which we are now using are close to the surface in drilling terms. In places such as Canada they actually opencast the shale out with the oil, but the cost to do this is just about economical to do with the price of petroleum being so high as it is today so the oil men are searching for other reserves which are untouched. The problem is they have to go deeper and the gas shales seem to be one of the answers regarding the energy thirst of the world. The problem is these new sources of gas shales are so deep in the earths crust that drilling technology is just about getting into these areas but they are hitting problems. America has been doing trials on gas shales deep in the earth for more than 10 years and have had discovered problems with trying to get the right technology to work. In some cases it has worked, in other cases there has been real problems when the drilling hits the shales containing the gas at deep levels. In the process of doing this they do sometimes accidentally intercept unwanted toxins which have caused problems in the past. These gas shales start into he region of 10,000 feet down to 18,000 feet in some areas. At the level between the 10,000 and 18,000 feet the oil which is in the gas field a process of the gas destroying the oil takes place so that in some cases where it was oil & gas previously becomes just gas over time. Further in time again even the gas will eventually disappear at these levels. Having said that in the UK as well as the rest of the world I believe there are large volumes of the right type of shale to carry the gas, it is just a case of technology catching up. Whereas a professional oil dowser is able to dowse and penetrate the earth to wherever the gas & oil is, including the depths of 10,000 to 18,000 feet or more. He is also able to detect any toxin substance on the way down to where the gas may be which would be an advantage to the oil men as they could find alternative locations to drill to by pass the toxins with the dowsers advice. This is why I say it is good to have a professional oil dowser working together with the oil geologist for the company as it increases the success rate even at these levels in the earths crust and reduces the failures. 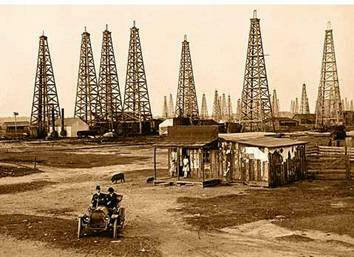 Oil was first discovered in North America in 1858. Drilling near Oilsprings, Ontario, James Miller Williams found oil at a depth of approximately 60 feet. The father of the modern oil industry, Williams produced and refined his product to sell as lamp oil. Following the initial Oilsprings discovery, several subsequent finds were made in nearby Petrolia, Ontario. Though speculation and exploration increased, Canada's contribution as a major oil producer was short-lived. Canada may have landed North America's first oil boom, but developments in the United States quickly overshadowed Canadian efforts. In 1859, oil was discovered in Pennsylvania and the American industry was off to a roaring start. Production from Oilsprings and Petrolia could not keep up with demand and Eastern Canada was soon forced to rely on imports from the United States to supplement its production. For more information click onto prospectingoilandgas.com. As a petroleum geologist, one wonders. Nature has a way of barring oil from obvious hiding places and hoarding it in unsuspected corners. 1. petroleum liquids (oil) and gases are combinations of hydrogen and carbon. Hydrocarbon compounds are organic substances, not minerals. 2. Hydrocarbons are derived from animal and plant matter of all geological ages, buried in the sediments of ancient oceans. Therefore oil and gas are most often found together with salt water in or in close association with rocks of marine origin. 3. At first, the conversion of organic remains into hydrocarbons is the result of bacterial action. The main product is methane (marsh or coal-mine gas). At burial depths of a few thousand meters and temperatures between 50 degrees and 150 degrees both oil and gas are generated by chemical reactions. Additional overburden leads to the breakdown of any oil previously formed. The main product is again methane, this time the result of excessive heat. 4. In order, to accumulate in commercial quantities hydrocarbons need space, but they do not occur in underground caves and rivers. Petroleum is produced from the pores and minute fissures of host rocks such as sandstones, limestone and dolomites. 5. The reservoir fluids, gas, oil and water, follow the laws of gravity. If all three are present into the same container, gas rises to the top, oil stays in the middle and water rests at the bottom. 6. Since hydrocarbons continue to rise through permeable rocks unless stopped from escaping to the surface, one of the most important requirements for a petroleum reservoir is an impermeable "roof". In order to form a trap for oil or gas the roof, viewed from below, must be concave. The problem is that these subsurface conditions cannot be observed or measured accurately from above. Educated guessing plays a large part in petroleum exploration.